On the woody hills behind Livorno, on Pisan territory, surrounded by age-old olive groves is the village of Chianni. Renowned exactly for its top quality olive oil with an intense colour and fruity flavour, this medieval town boasts an exceptional culinary tradition and magnificent landscapes. Its woods are frequented by local wild boar hunters and every second and third weekend of November the town holds a festival, considered one of the oldest in Tuscany, where one can savour wild boar dishes and other typical specialities of the rural traditional personally prepared by the local villagers. In the surroundings is the ancient hamlet of Rivalto, perched on the hillside overlooking a valley of gently rolling hills. In the distance one can admire the white outcrops of Volterra, at 30 km (18 miles) with a patchwork of different shades of green around it. The village is famous for its chestnuts and thus a favourite Sunday destination for picnics and outings; since 1974 Rivalto holds a Chestnut festival in October. 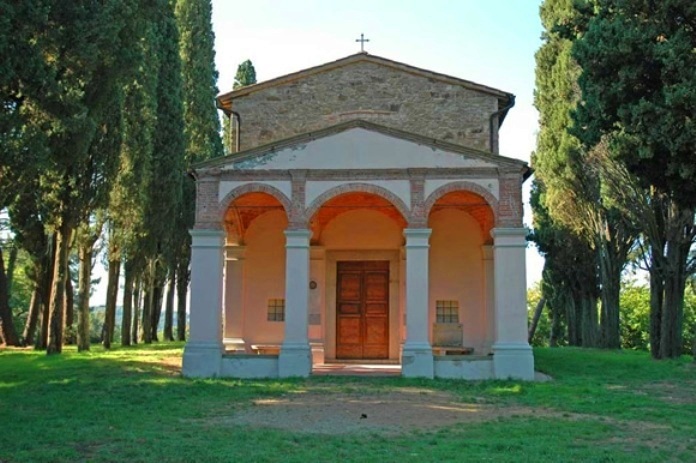 Hidden in a pine grove, instead, is the Santuario della Madonna del Carmine, in a scenic location of extraordinary beauty. 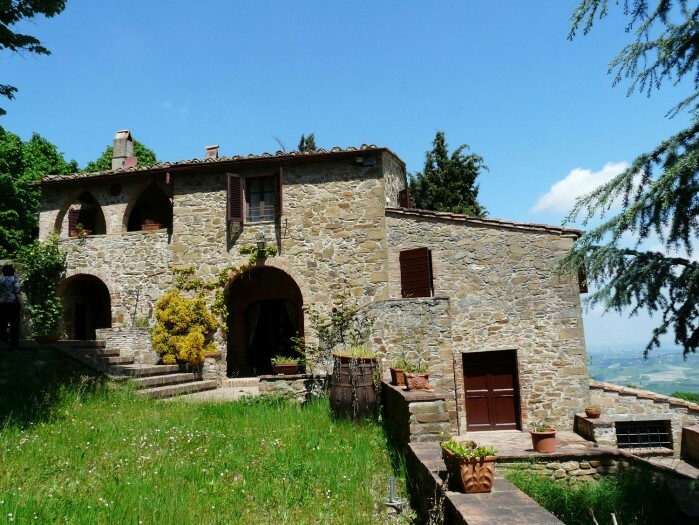 At 300 m (less than 1000 feet) from Rivalto is a holiday home with a breathtaking view dominating the whole valley, right up to the fortress of Volterra. This old stone country house has two self-catering flats, on separate floors, but can also be rented as an independent cottage for family groups. The garden, completely furnished, offers a relaxing haven, while the many walking trails around the village are perfect for exercise and enjoying the surrounding countryside and wildlife. 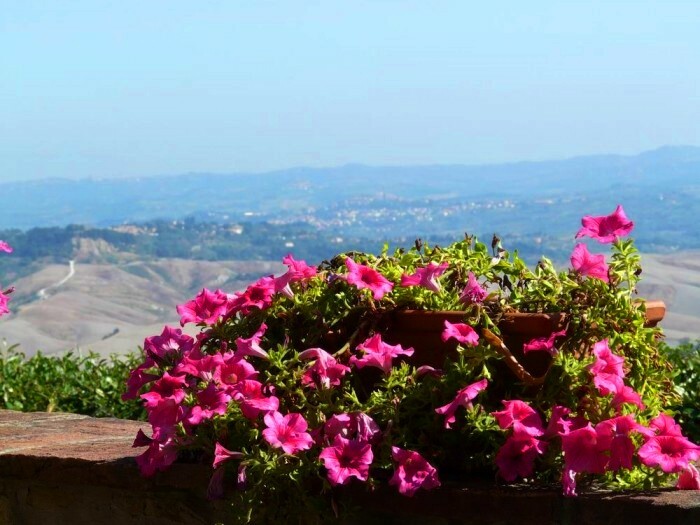 In a perfect location for visiting most Tuscan art centre, such as Pisa, Lucca, Florence, Siena and San Gimignano, Rivalto and Chianni are also very close to the famous spa centre of Casciana Terme and the magnificent town of Volterra. 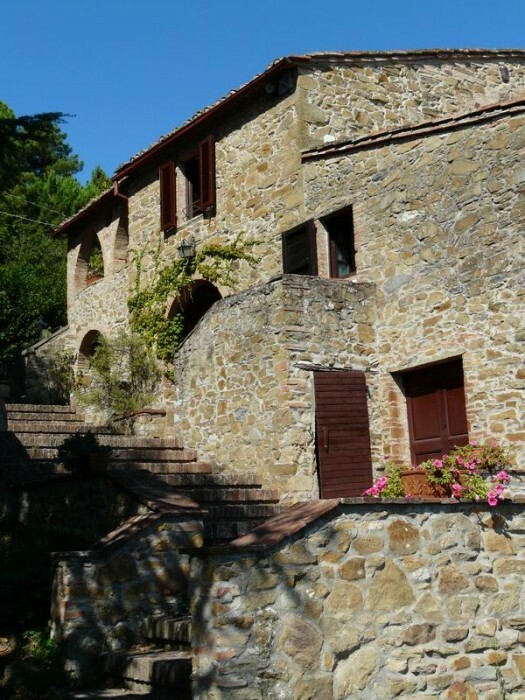 Questa voce è stata pubblicata in Accommodations in Tuscany, Festivals and feasts in Tuscany, Tuscan lifestyle, Villas in Tuscany e contrassegnata con Valdera; Chianni; Rivalto; Casciana Terme; Volterra; Pisa; Livorno. Contrassegna il permalink.